One of the favorite trends for Easter is the pastel colors. 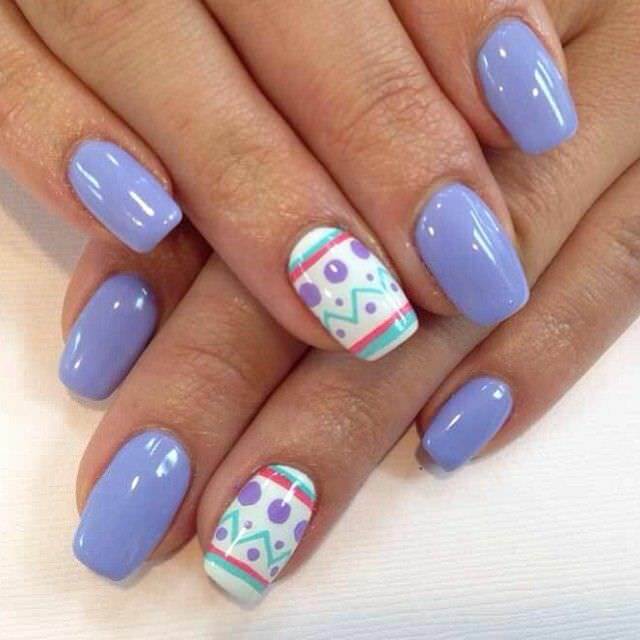 The colorful pastels are perfect for Easter Nail Designs. You can add elements which are often used during Easter such as bunnies, eggs, baskets, flowers, polka dots etc. Hand painted chicks are an “all-time favorite” during the Easter season. While baby chicks may come off as a bit childish, adding just one is the perfect accent. 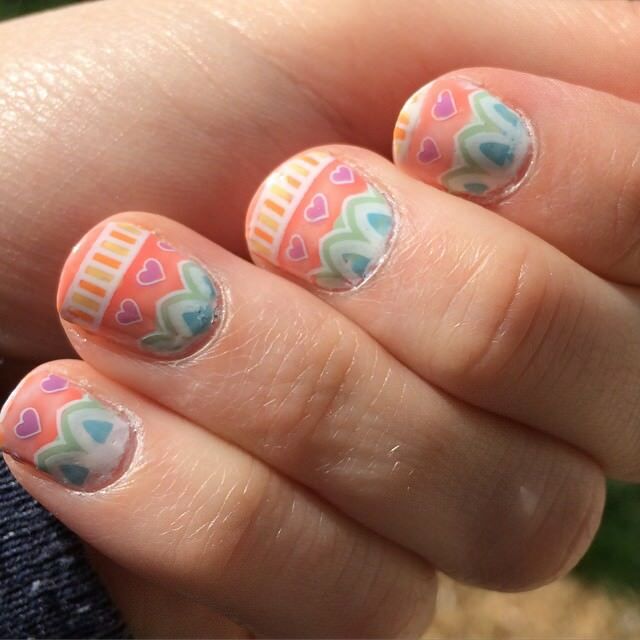 This Easter nail art features an Aztec print with vibrant hues. 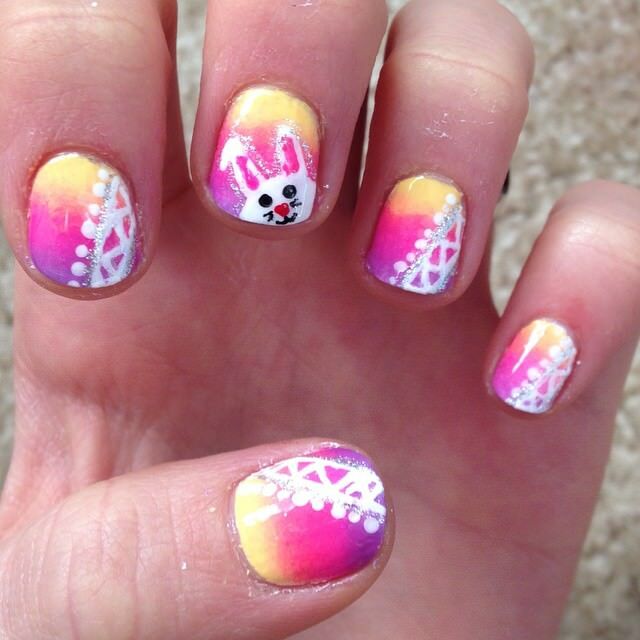 You can draw inspiration from this style and come up with other creative Easter nail art ideas. 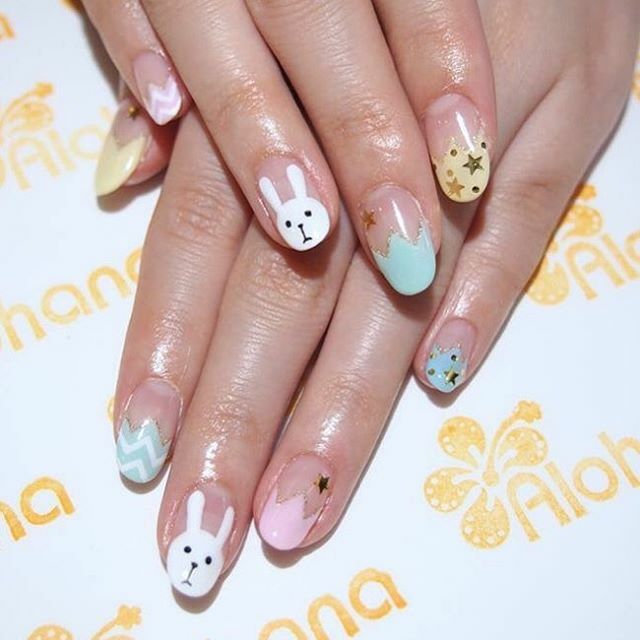 Featuring an Easter nail art that has amazing ideas such as Easter bunny on the nail and semi-covered nail with stripes. 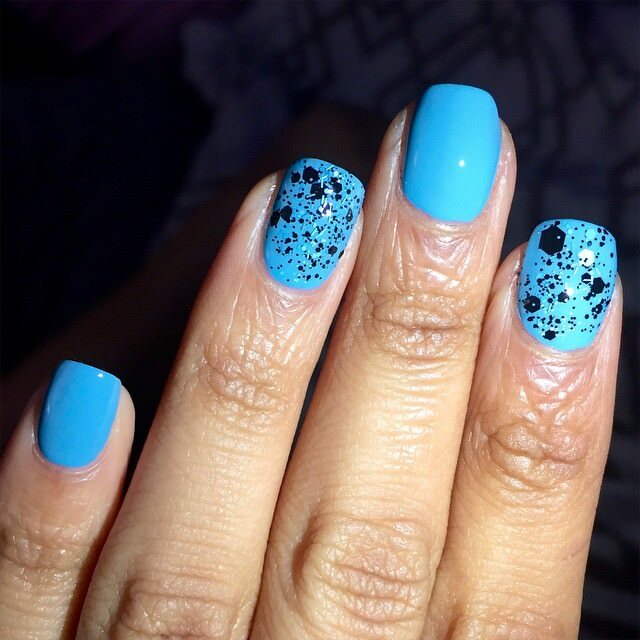 You can use bright colours and add a dash of top coat for better results. 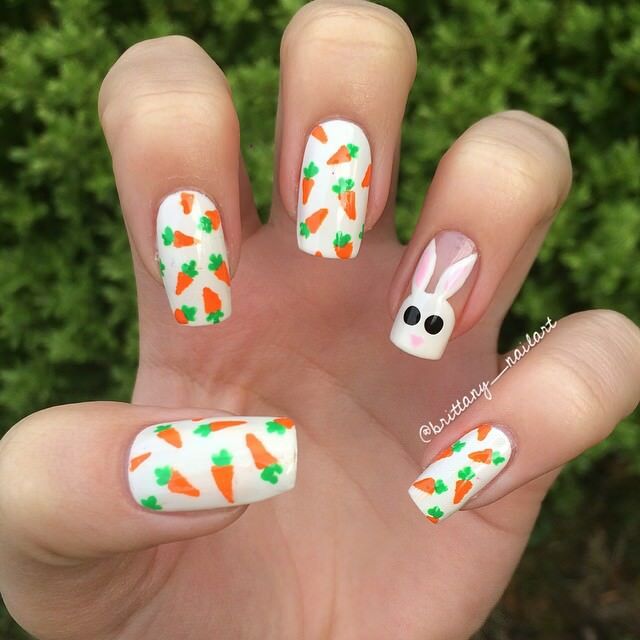 This Easter nail art is perfect for long nails and it makes them look elegant and gorgeous. 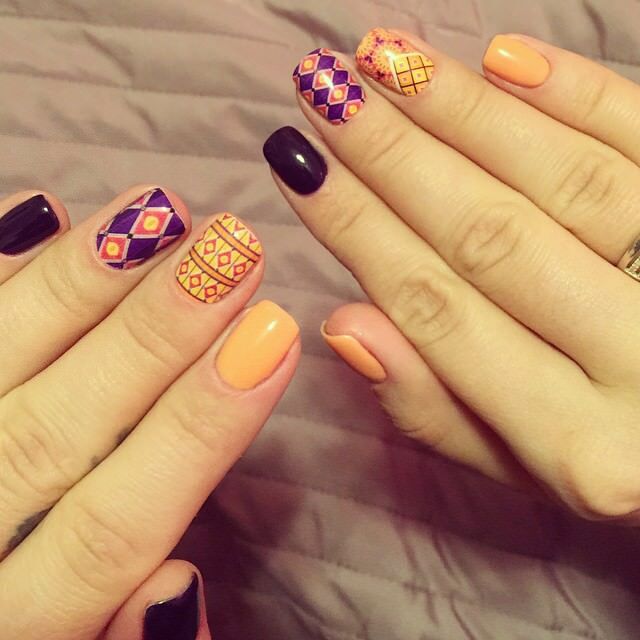 With the use of bold shades and a dose of glitter, this fancy nail art draws inspiration from Aztec print. 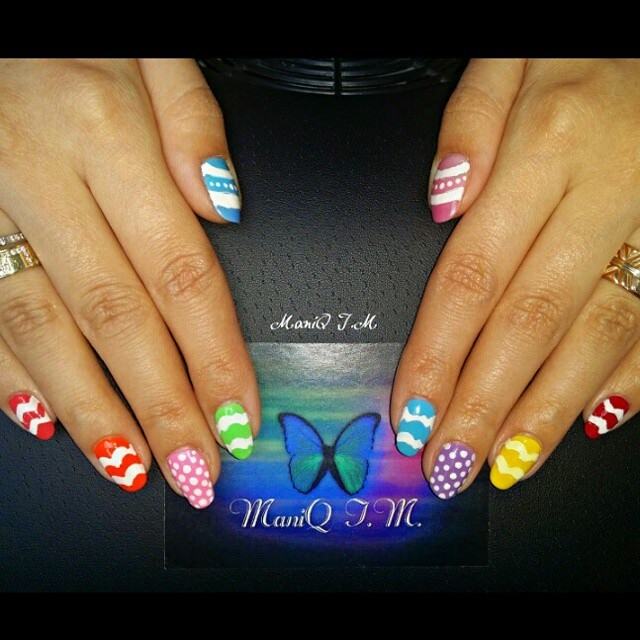 This multi-hued Easter nail art is easy to do as all you have to do is coat your nails with different nails paints in stripes. 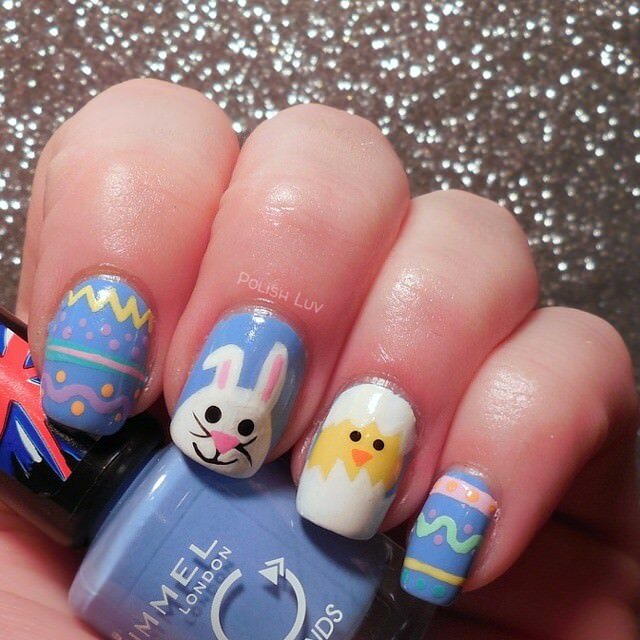 You can step up your nail art by going for 3d Easter nail art. 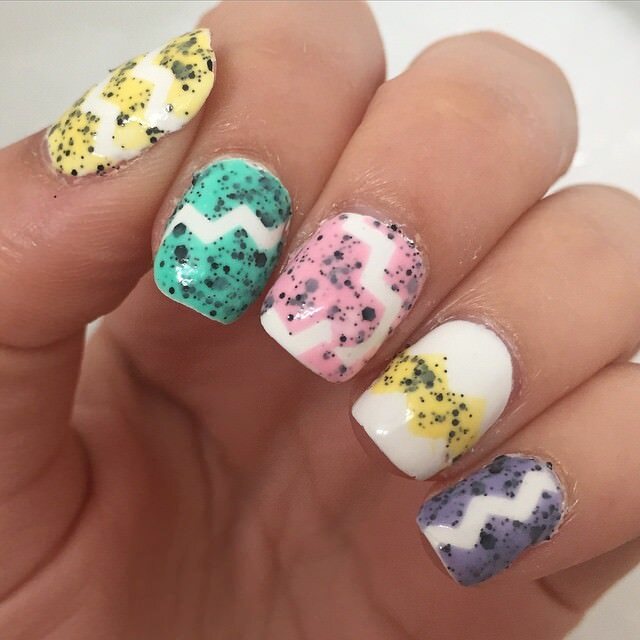 This Easter nail art employs Acrylic nail paint of multicolour so you can use them to come up with interesting nail art designs. 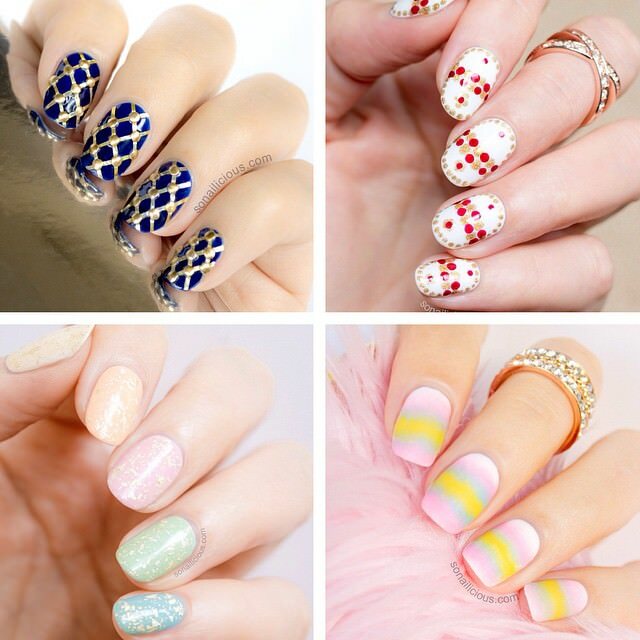 Draw stripes, polka dots or a combination of both to make your nails look pretty. This tribal art makes use of bright colors and exotic patterns which make it look classy. 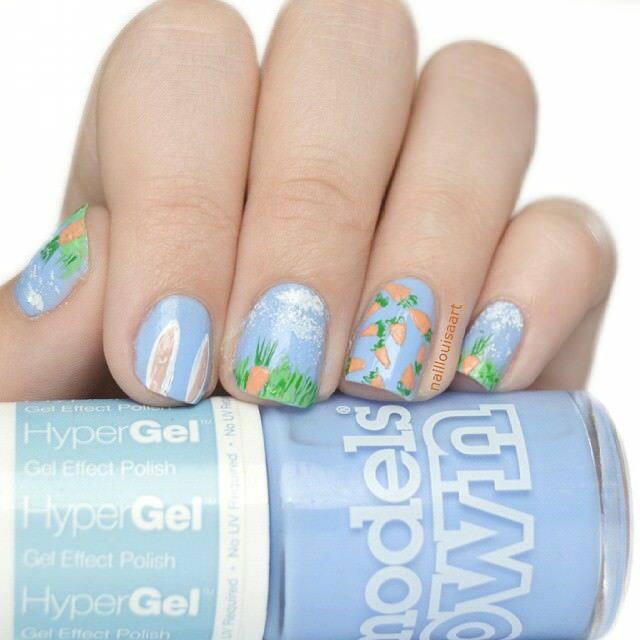 You can try this nail art style by embossing your nails with this stunning design. 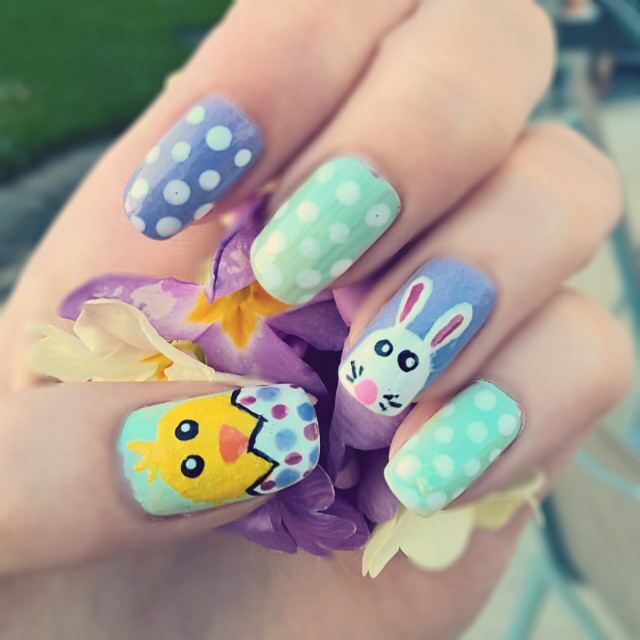 Easter nail art gets only better when you opt for 3d Easter nail art that has Easter eggs and Easter chick seeming alive. 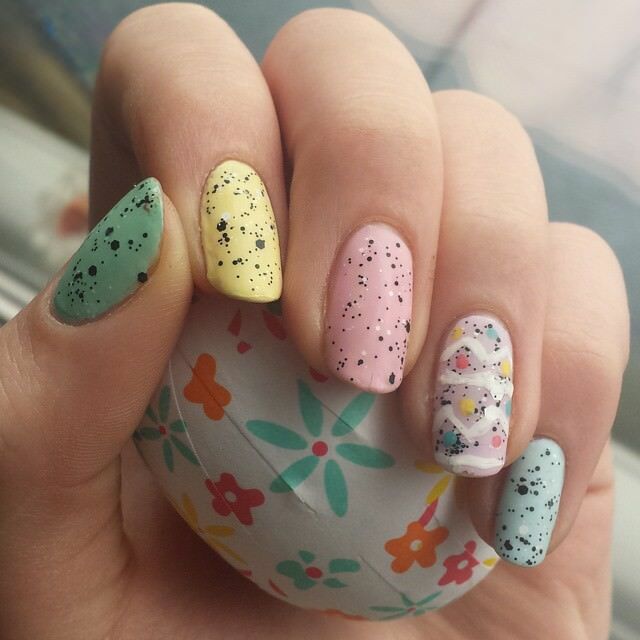 This nail art makes use of Polka dots and Easter chicken. 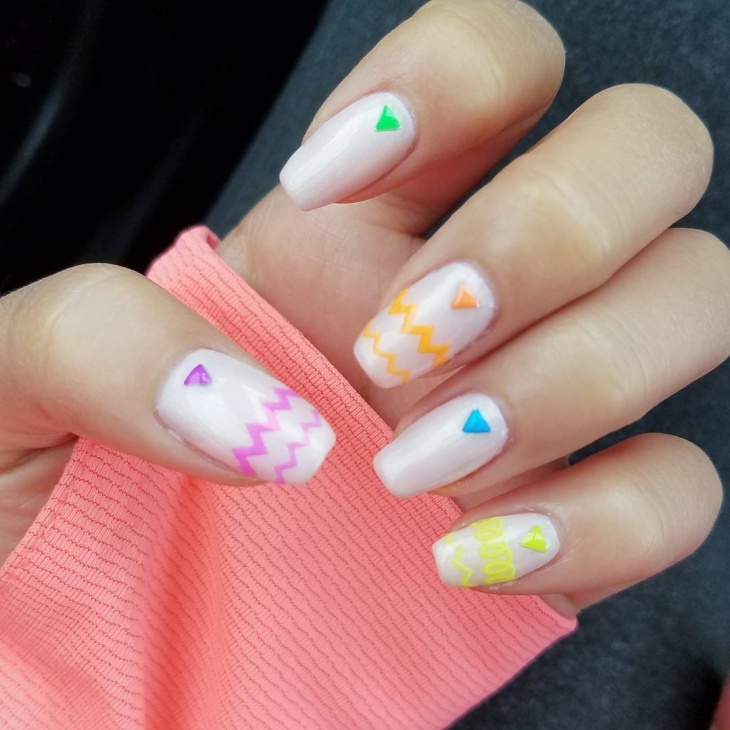 This Easter nail art that employs ideas like the use of glitters, sparkle and Aztec and polka dots for designing the nails. 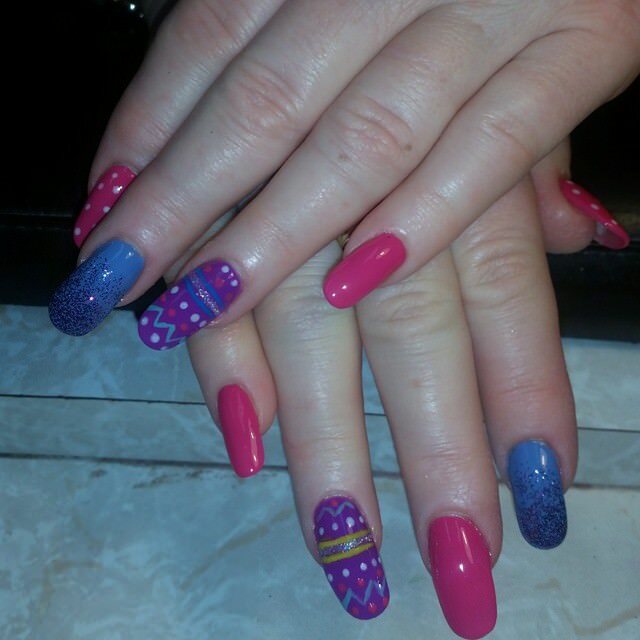 Use bold color nail paints as backgrounds to highlight the designs. 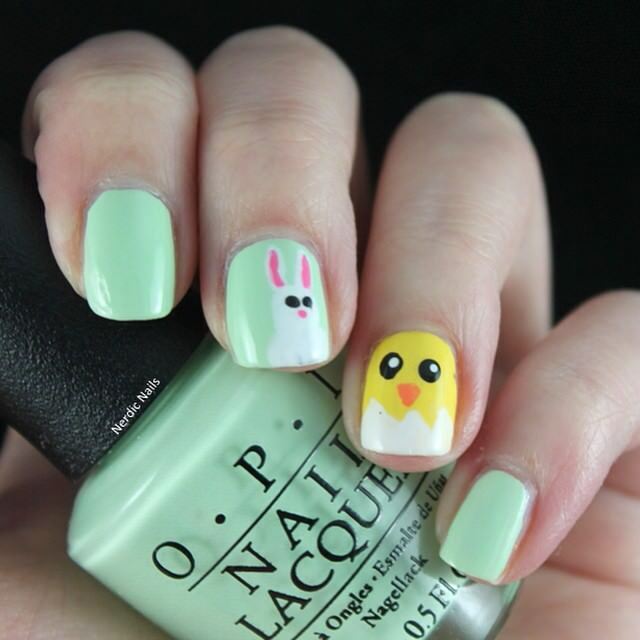 This Easter nail art is fairly easy and doable and you can use a single shade of nail paint to design this one. 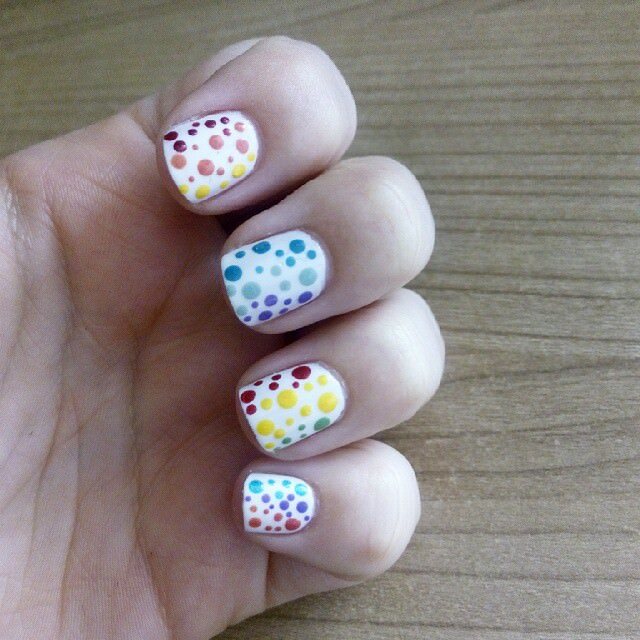 Use a splash of some other color nail paint to bring this effect. 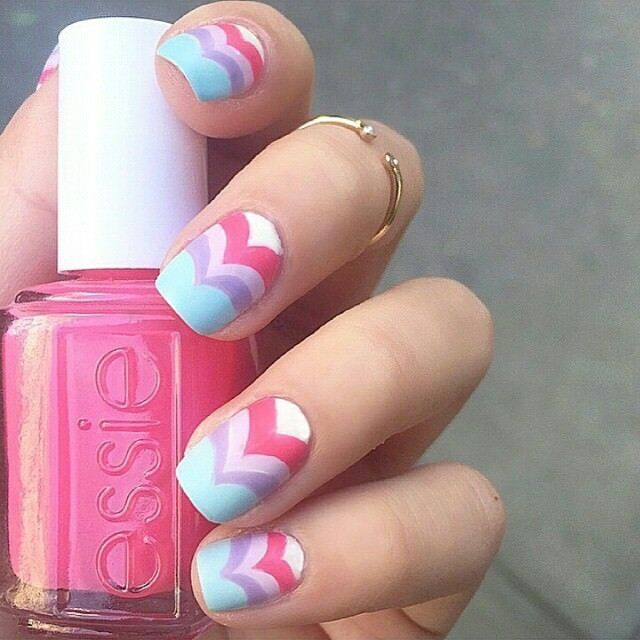 This classy nail art looks glossy and eye-catching. 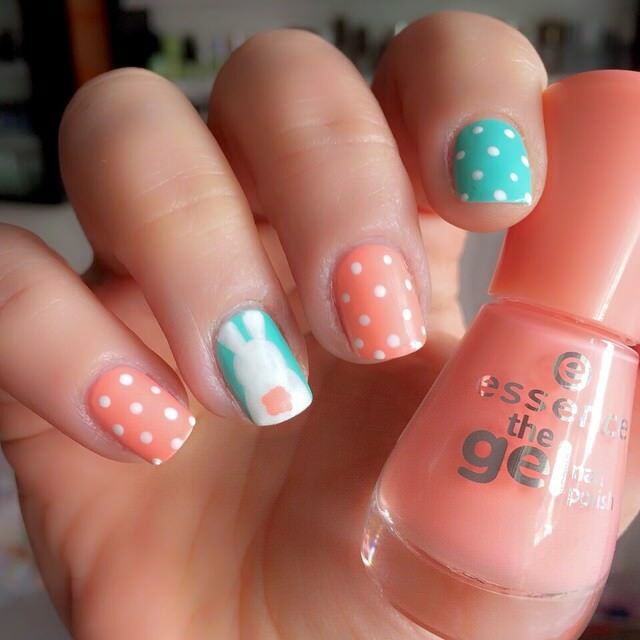 This simple Easter nail art uses a mix of stripes and polka dot pattern. 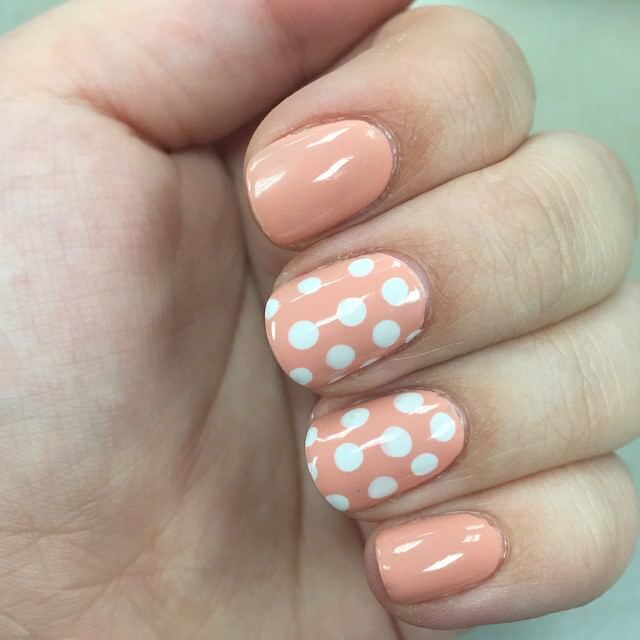 You need to use this pattern on only one finger and use a monochrome shade on others. 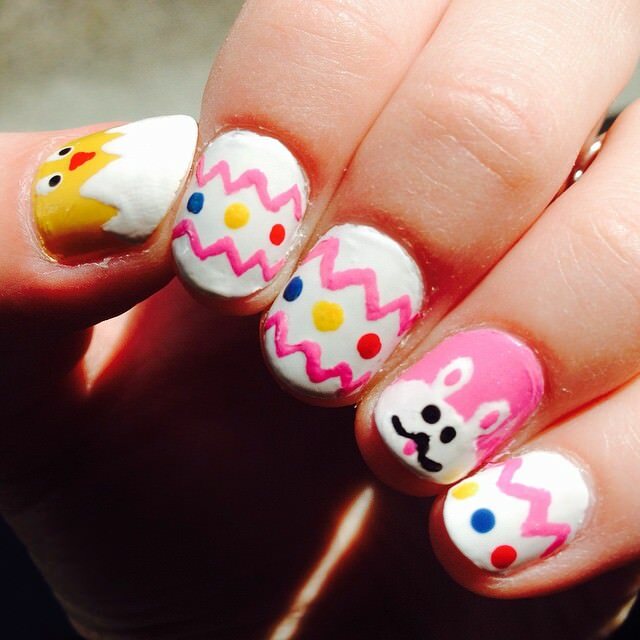 A clever take on a classic Easter treat is the “Candy Mani”. 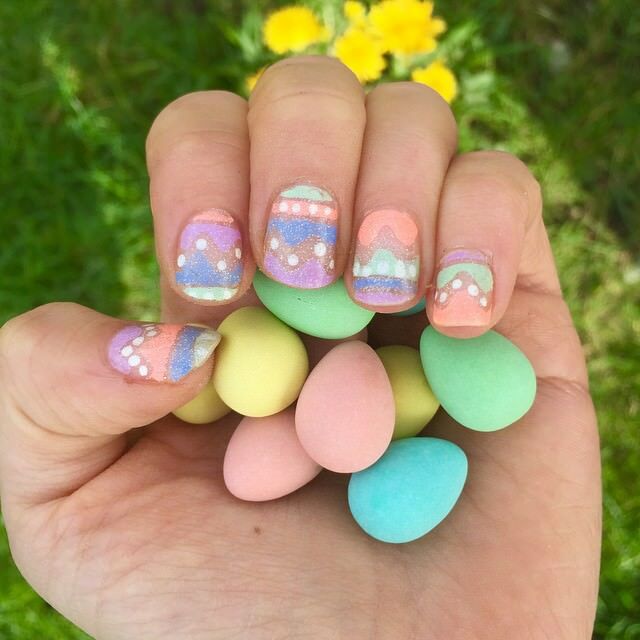 Your nails will look as delicious as the Malted Milk Chocolate Eggs. 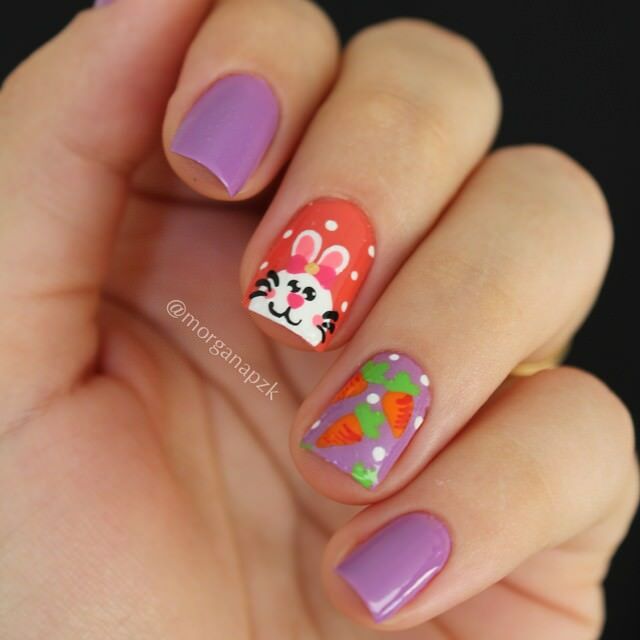 Create a special Easter bunny along with French tips. Try a diagonal dipped pastel colors for a simple geometric take. 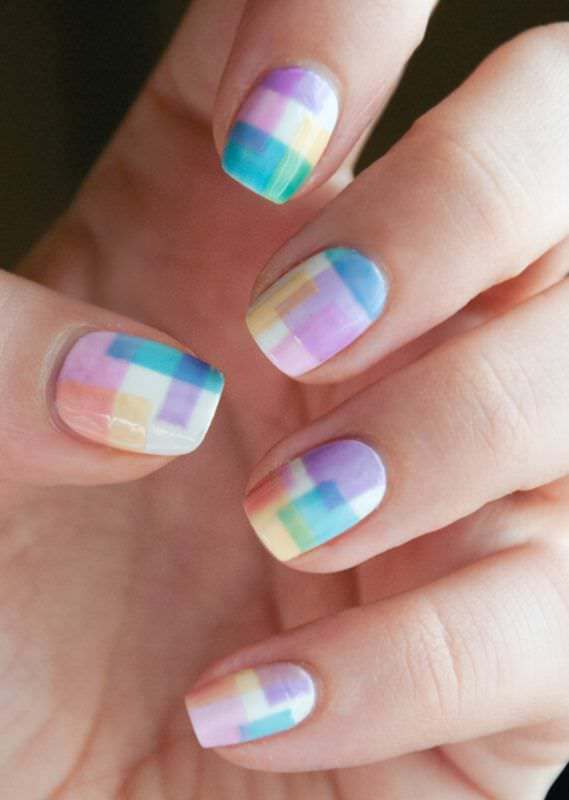 A hot trend for the Easter holiday is a simple Plaid design in pastel colors. Swap your own pattern and colors for a preppy touch. 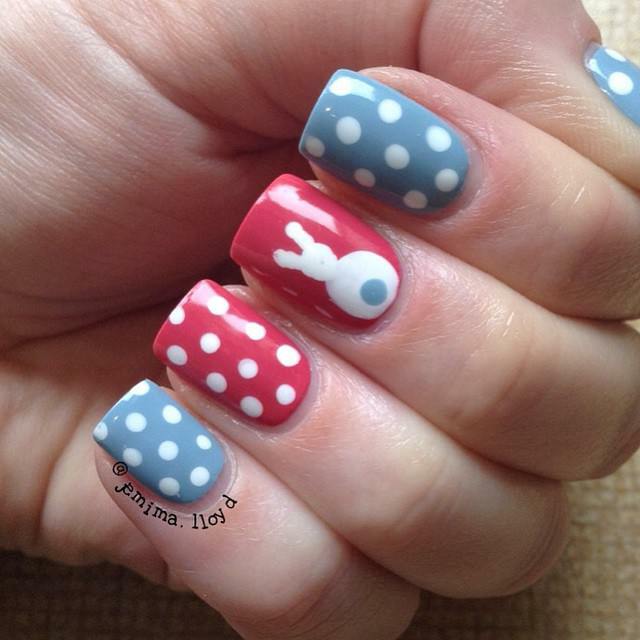 Though simple bunny hiding in the grass will look great for the Easter, a bunny on your nail with polka dots on the remaining fingers will look even better. 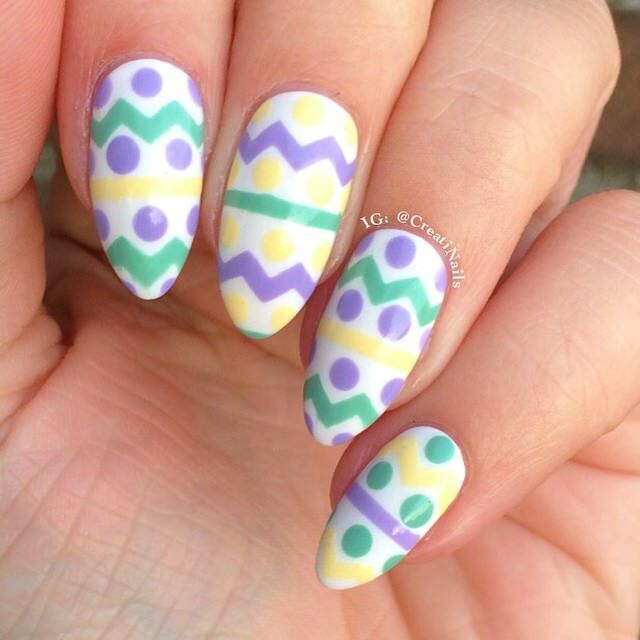 Re-create a modern Easter basket for an impressive manicure that is actually easier than it looks.